2 time Reserve Color Champion Fleece! 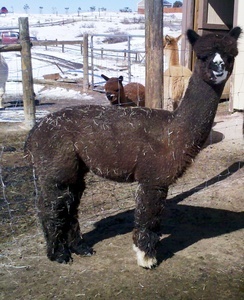 We co-owned MO for many years - He has a multiple blue ribbon winner and his Fleece won Grand Champion at GWAS when he was 8 years old! 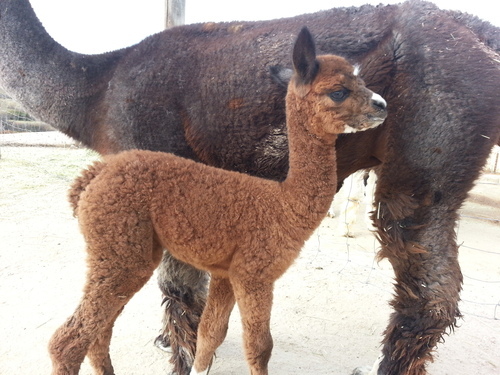 MO is a son of PPPeruvian Royal Fawn. A wonderful mom, excellent confirmation with very dense fleece. 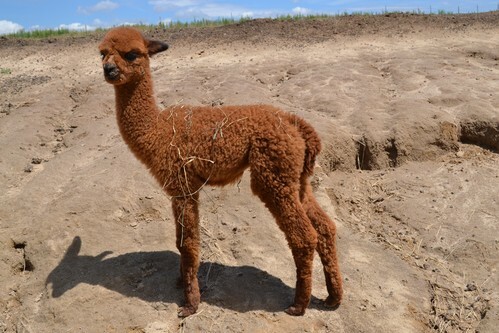 Buck got his name because he is the last cria that we will have from Show Me the Money. 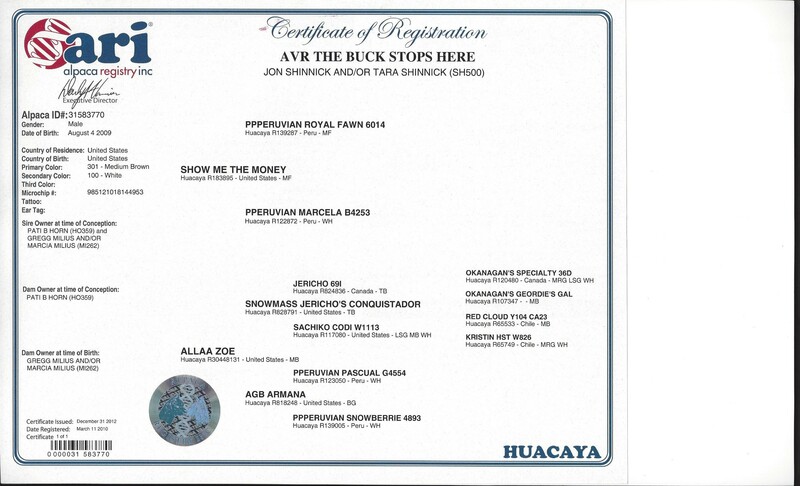 As you might know the Milius' tried to name any cria that Mo sired with a money theme – The Buck Stops Here just seem so appropriate. 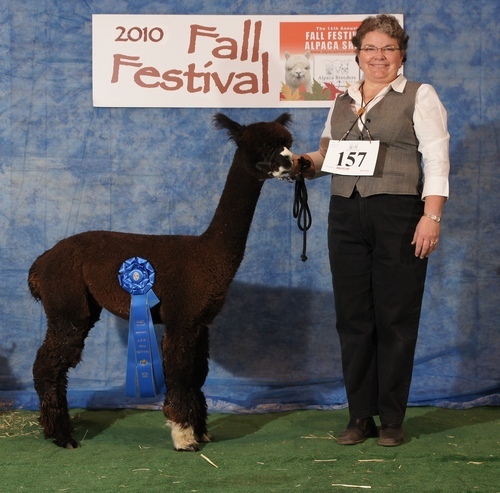 They started showing him when he was a yearling; at Fall Festival 2010 he earned First place from Jude Anderson. GWAS 2011 in the halter show he earned Third place and in the fleece show he was awarded First place and Reserve Color Champion. His fleece went to CABA and again he was awarded First place and Reserve Color Champion. 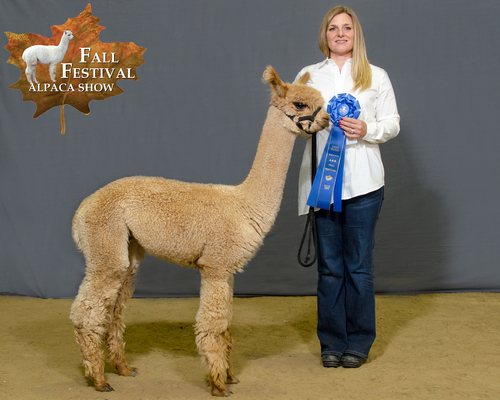 The final show of the year for his fleece was AOBA Nationals and he earned Third place. The bloodlines on this guy are rather impressive - on the sire’s side there is PPPeruvian Royal Fawn and Snowmass Jericho’s Conquistador on the dam’s side. 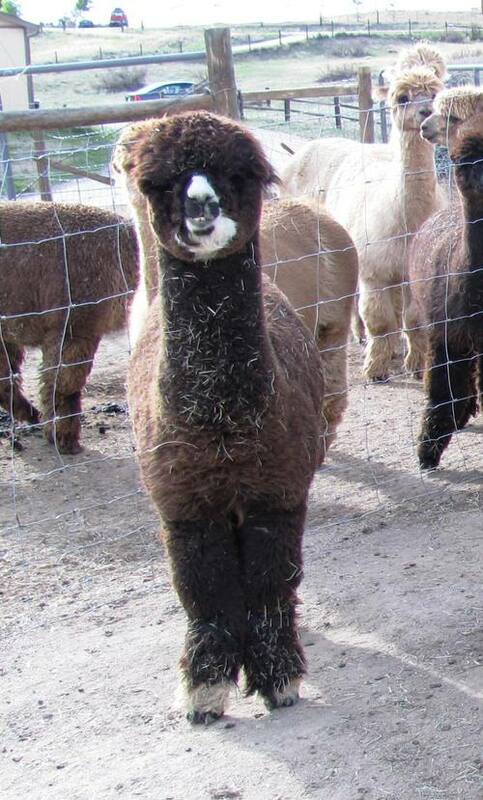 Buck started breeding in 2012 and we have been nothing but impressed by his cria. His latest, AVR Nicholas, just won 1st place at Fall Fest in Bred and Owned! 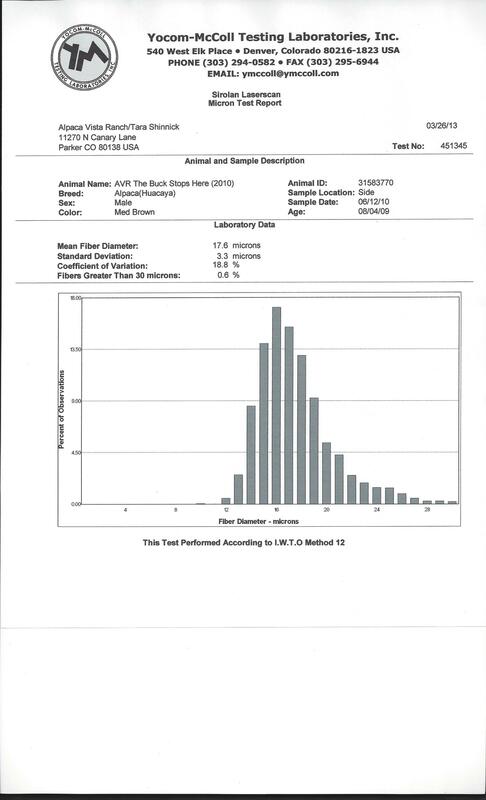 We are currently looking to trade Buck for another herdsire with different genetics and equal quality.